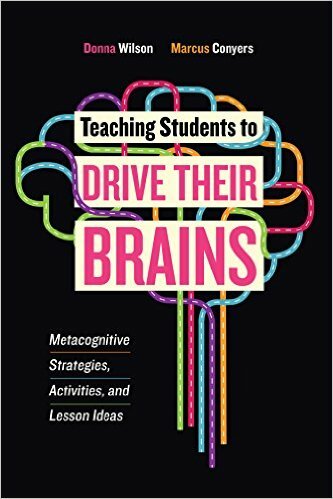 With Teaching Students to Drive Their Brains, Donna and I empower teachers with a practical and motivational approach to metacognition with the goal of helping all students become better thinkers. 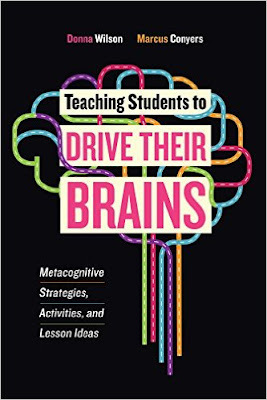 The book includes useful metaphors, learning strategies, and instructional tips for incorporating metacognitive strategies into the classroom. Readers of the book will learn practical ways for teaching pre-K through 12th-graders how to drive their own brains through an optimistic outlook toward learning. We also focus on such strategies as setting goals, focusing attention, monitoring progress, and encouraging cognitive flexibility. Teaching Students to Drive Their Brains will launch July 1. It is currently available for pre-order at Amazon.com. Learn more about the book by watching the video at the link.